Raider Of The Lost Art. 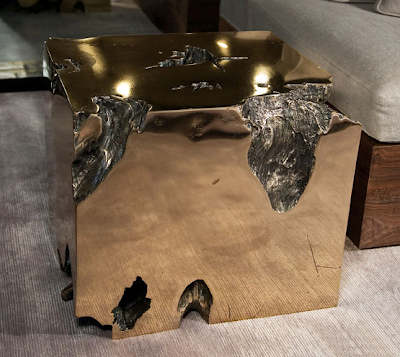 Jewelry designer turned furniture designer Herve Van der Straeten has long been one of our favorite artists. We use the term artist, because in our opinion, everything he creates is truly a work of art. 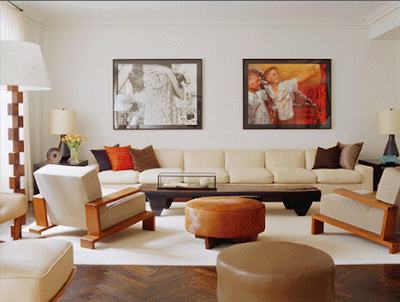 This image shows off his loft in Paris with two of his signature aluminum pod-like stools. 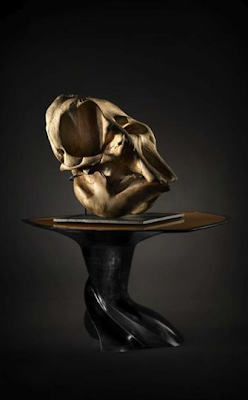 Known for his use of metal and sculptural forms, Van der Straeten will sometimes oversee 3 to 4 craftsmen to work on a single design, sustaining what unfortunately has becoming a dying art. Available here in the states through Ralph Pucci, Van der Straeten's work is not only innovative and beautifully executed, it's also refreshing and timeless. 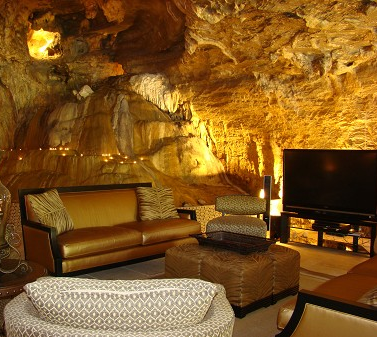 Architect and Interior Designer Peter Marino....Discuss. 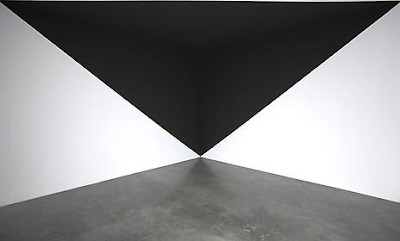 No, this is not an Ellsworth Kelly painting. In fact, it's not a painting at all. 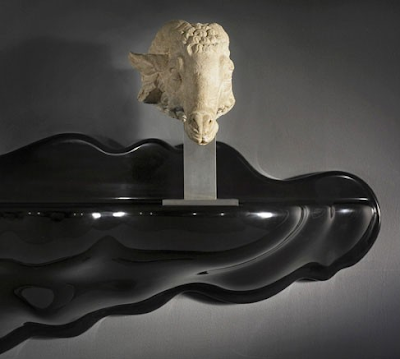 But it is considered art, and it's intended to trick your senses into perceiving one thing while experiencing another. If you look closely this is actually the corner of a room at the Marianne Boesky Gallery here in New York, and it's part of a baffling new show created by artist Neil Campbell. Using little more than black paint, Campbell combines shapes and architecture to create a rather mind boggling optical experience. Definitely stop by this weekend for an exciting "trip" that requires zero traveling. We'll it's official...I'm absolutely madly in love with Michael Reynolds' newly curated show at R 20th Century: Sticks, Stones, Bones. We stopped by the opening tonight and I honestly believe the exhibit is more me than me! Reynolds, who's done some amazing photo styling for Wallpaper magazine, has assembled the most curious collection of artifacts and antiques from elephant skulls to Wendell Castle furnishings, and it couldn't be more bizarre and beautiful. According to R "by combining ritualistic, religious and decorative artifacts—from ancient cultures as far-flung as Imperial Rome, Tibet and China, Cambodia and South America—with fine art, hand printed wallpaper and some of the most sensuously sculptural and exceptional pieces from R 20th Century Gallery’s collection of 20th and 21st century design, Reynolds encourages the viewer to meditate on the art of past and present culture." Please check it out-I promise you won't be disappointed. Studio Granda is an architecture firm based out of Reykjavik, Iceland. 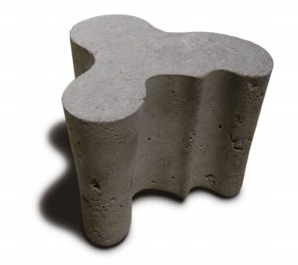 Founded in 1987 by husband and wife team Steve Christer and Margret Hardardotti, this firm tends to incorporate a lot of rugged, indigenous materials in their work including stone, sheet metal and timber. However, it's hard to tell in these photos which show a more light-handed, almost playful design approach. 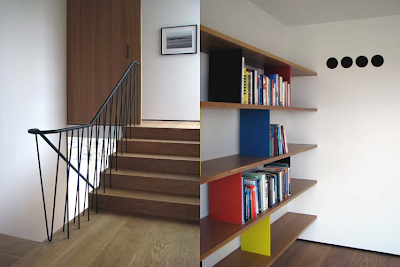 I think the stair rail is genius! 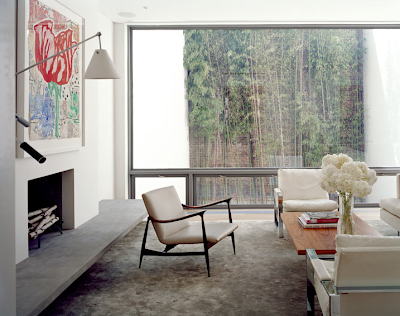 Kay Kollar is a Los Angeles based Interior Designer whose work epitomizes every aspect of what makes us so excited about design. 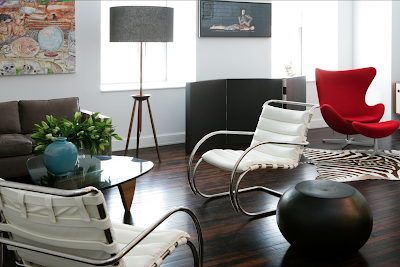 It's modern and intensely stylish without being pretentious and has a warmth that whispers "relax and enjoy...." Each piece of furniture seems perfectly selected as though curated for a mid-century modern exhibition. 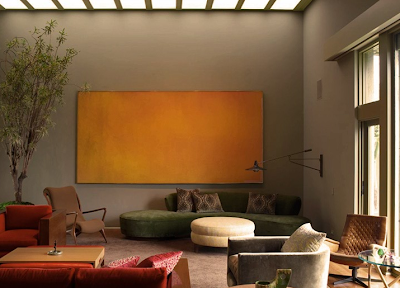 But it's Kollar's use of lush color that really gives this project it's sophisticated edge. We look forward to seeing much more of this talented designer's inspiring work. 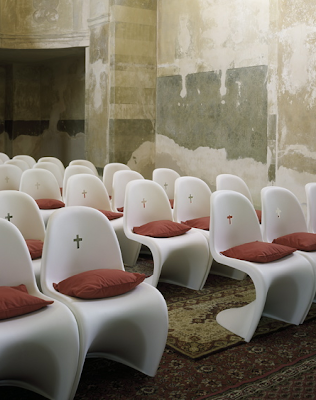 Czech designer Maxim Velcovsky working with Jakub Berdych from Qubus Studio redesigned the interior of St. Bartholomew's Church in Eastern Bohemia using customized Vernor Panton chairs with a perforated cross in the back. I'm intrigued. Perhaps this is what Mies van der Rohe was referring to when he said" God is in the details...."
Extreme glamor that is! Design Therapy spent the night at two separate parties celebrating two of designs superstars, past and present. The evening started with Kelly Wearstler at Lee Jofa launching her luxurious new fabric line that's rich with color and texture and sure to be a hit with design aficionados across the country. 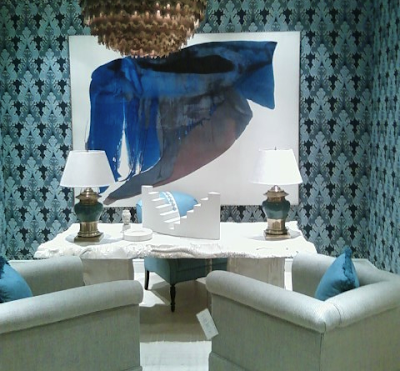 To show off her new fabrics, Wearstler created an incredibly chic vignette layered in shades of blue and white anchored by the most amazing faux bois desk. Great party, great turn-out and Kelly looked fantastic. Afterwards, it was on to Baker for an unveiling of the late Tony Duquette's newly re-issued furniture line and we must say-it too was stellar. 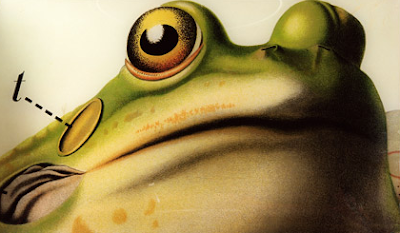 Duquette's work is irreverent but elegant, and considering when it was made, way ahead of it's time (I love the snail!). I see so many of his influences in Kelly Wearstler's work-it was only fitting that they would share the spotlight on this very special evening. And although I tend not to design with such a heavy hand, I can certainly appreciate it when someone pulls it off as beautifully as these two. 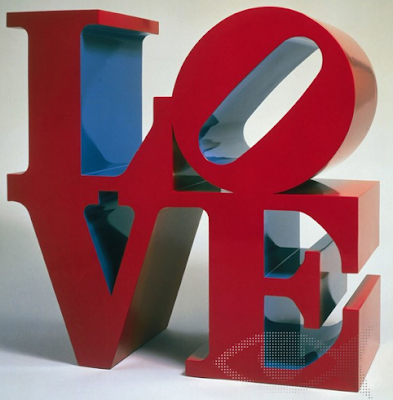 To celebrate Pop artist Robert Indiana's 80th birthday, the Paul Kasmin Gallery in New York will be exhibiting 8 of his large sculptures including one his most iconic pieces: LOVE! Run don't walk to this amazing show and help honor a legendary artist and this incredible milestone. Happy Birthday Robert (...and many more)! Gueridon, a mid-century antiques dealer here in New York is pleased to introduce the arrival of the "Meubles Chapo" furniture line. 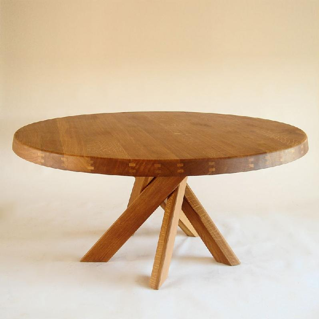 Pierre Chapo worked with Charlotte Perriand from the 50's to the late 70's and together they produced some of the most extraordinary designs of the twentieth century. 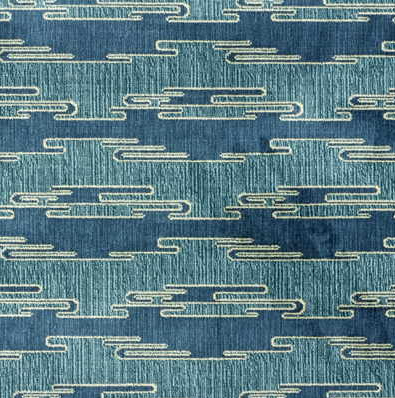 Rustic yet sophisticated, this licensed re-edition line will no doubt give design enthusiasts something to celebrate! Steven Learner has long been one of my top design influences. 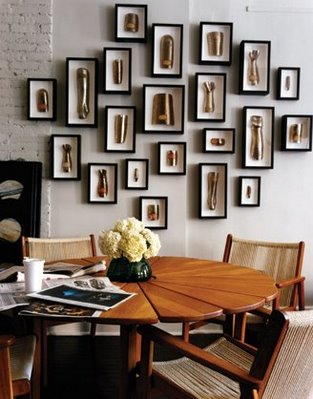 Founded in 1995, his architecture and interior design studio specializes in art-related projects that are clean, sophisticated and always edgy as evidenced by the above photo. His latest project is the London-based Haunch of Venison gallery in New York City which opened its doors last week with their first show, Abstract Expressionism: A World Elsewhere. The exhibition features work by Willem deKooning, Mark Rothko, Jackson Pollock and others. But equally impressive is Learner's smart architectual approach to this 20,000 sq ft space, proving once again why he's at the top of the class. I was at a dinner party tonight for Domino magazine when a nice young, unassuming gentleman sat beside me and introduced himself as Jamie Gray. In making conversation, I asked him if he was in the business and to my delight he said he owned a couple of shops by the name of Matter. For those of you who may not know, Matter is one of THE most stylish and expertly curated design shops in New York City and I've been a huge fan ever since they opened their original post in Brooklyn. As you can imagine, I had quite a bit to talk to him about-all of which was fascinating. He's working on some great ideas, but I'll leave it to him to share those when he's ready. In the meantime, check out the shop's website where you'll find this Aalto doorstop created by another brilliant whiz kid Tobias Wong. Between Lehman Brothers filing bankruptcy and the damage in Galveston, Texas caused by Hurricane Ike, watching the news this morning was anything but easy. 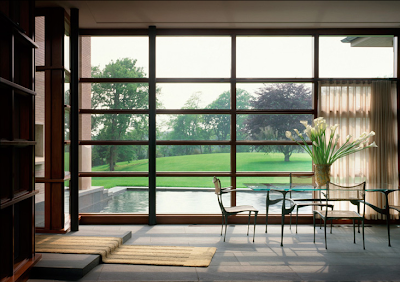 Unfortunately, one of the design world's most iconic houses was also affected by hurricane Ike. 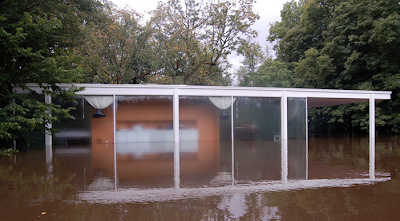 Ludwig Mies van der Rohe's famous modern masterpiece, the Farnsworth House, fell prey to Mother Nature Sunday, September 14, as flood waters rose almost two feet over the top deck, entering the house. Built within the flood plain of the Fox River in Plano, Illinois, the house stands on columns five feet above ground which proved not high enough as record breaking rain amounts brought the river more than 14 feet above its normal level. More than eight inches of rain fell in two days as Tropical Storm Lowell passed through Saturday, immediately followed by the remnants of Hurricane Ike Saturday night and Sunday. Fox River waters rose quickly and by Sunday morning, September 14, they had breached the interior of the house by over a foot. Click here to make a donation. DWR just announced they'll be opening their first DWR: Tools for Living store this Friday, Sept. 19th in Soho and we're very excited. Who doesn't love the concept of cash and carry, especially when it's a beautifully designed, functional object. We love the assortment of colors in these Wax Crayons. In fact, we might just buy them to hang on the wall as art. They're offering up many more cool items at this new shop and we can't wait to see what else this modern day retailer can bring to us within reach. This is "Room 606" inside the Radisson SAS Royal Hotel in Copenhagen, Denmark. 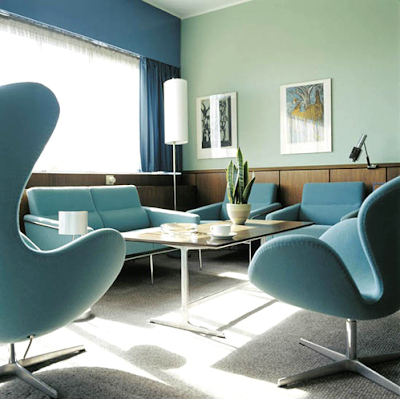 Danish architect Arne Jacobsen designed the entire hotel from the exterior facade down to the interiors and furnishings including the now ubiquitous swan and egg chairs (which he designed specifically for this hotel). 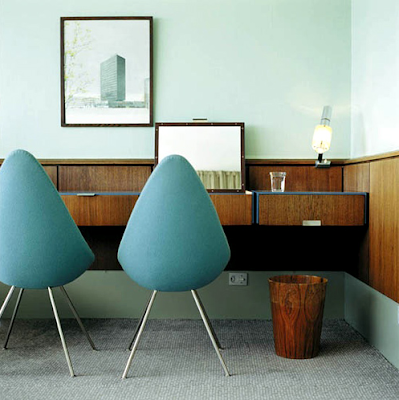 Of course, I've always been drawn to the ingenious design of this space, but it's Jacobsen's use of color and materials that I find truly inspiring. Combining the cool blue/greens with the warm woods and the industrial metals with the organic shapes may all seem a bit unexpected, but somehow he blends them together in perfect harmony. It's more than I can take...somebody save me! Hellovon is the studio run by London based illustrator Von. 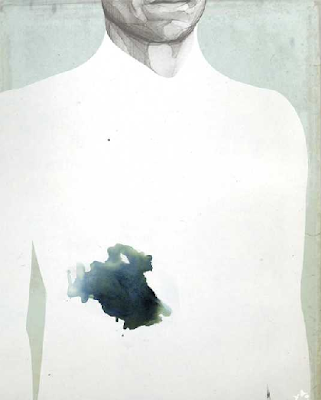 His work is heavily influenced by the world of music, fashion, and design. Currently he is installing his gigantic Migration mural on the side of the Espeis Gallery in Williamsburg, Brooklyn. This is the second act to a two part exhibition that started in London at the Truman Brewery. It's definitely worth seeing but if you can't make it, click here to see a video of Hellovon in action. I've been collecting his work for some time so I may be a bit partial-but I can assure you...it's worth flocking to this installation. When I came across these images of the Parco dei Principi Hotel in Sorrento, Italy I became officially obsessed! 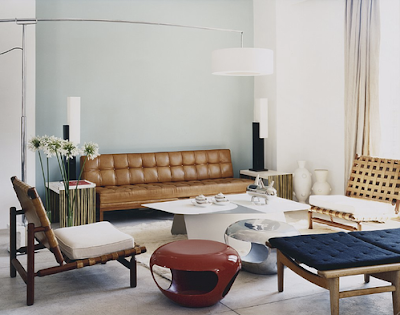 Designed and furnished by Gio Ponti in 1962, I'm not only inspired by the interiors but amazed at how they've stood the test of time and feel so current. 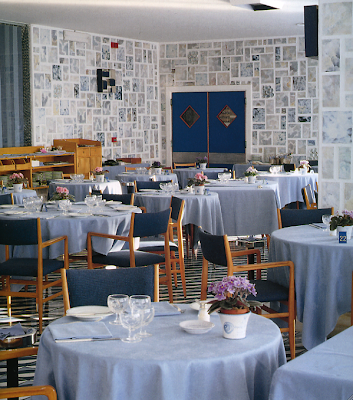 Ponti designed all the furniture as well as create 30 different floor tiles. 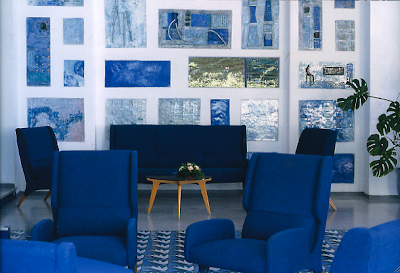 These tiles are arranged in varying patterns throughout the hotel creating quite a kaleidoscope of white, blues and grays. I'm freshening up my Italian and packin' my bags...Arrivederci! 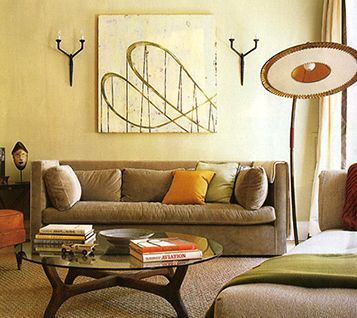 One of my absolute favorite designers is the legendary Joe D'Urso. Not only does he have an amazing eye, he has the ability to make a room look equally off and spot on at the same time. 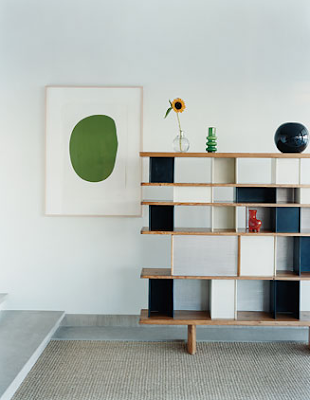 This particular room shows off his spare aesthetic with a black and white Charlotte Perriand cabinet and a few traces of color keeping the space simple but visually interesting. Click here to see more work from this Genius Of Design! Jen Bekman, one of our favorite Soho art galleries is gearing up for a show this Friday Sept. 12th from 6 to 8pm. 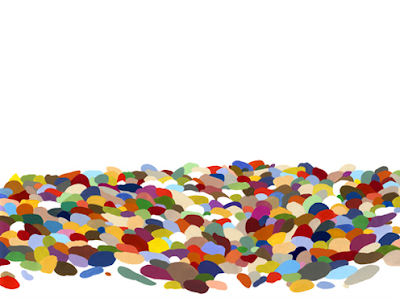 The opening will feature artist Carrie Marill making her NYC solo debut titled Doing a Lot with Very Little. Jen Bekman has an incredible eye for up and coming artists with works that make quite a bold statement but with prices that won't wreck your bank statement. Marill's work is no exception and we agree...looks like she's done a lot with a little and we can't wait to check it out. 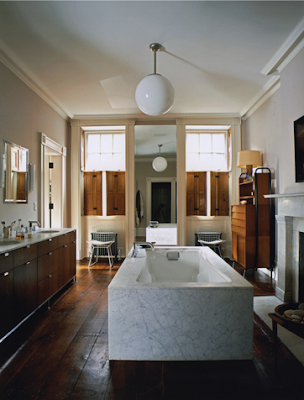 This stunning bathroom belongs to the equally stunning actress Julianne Moore. 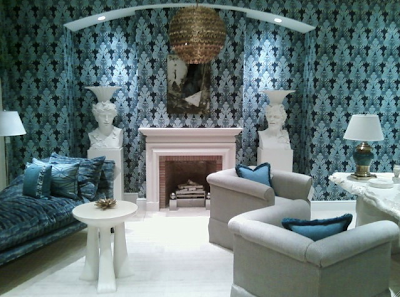 Designed by her brother-in-law's architecture firm MADE (one of my favorite's), everything about this room cries "Chic!" 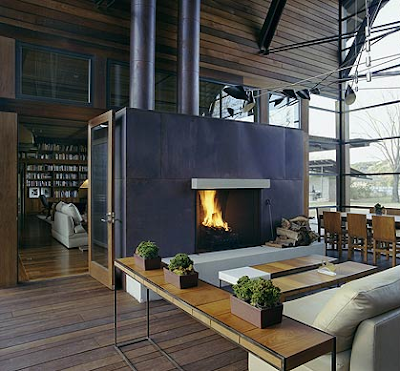 I'm crazy about the mix of materials and forms, the vintage with the modern, the polished against the worn, hard vs. soft. It's completely contradictory, balanced and studied yet it appears absolutely effortless. To me, this is what design should be about. Flawless! 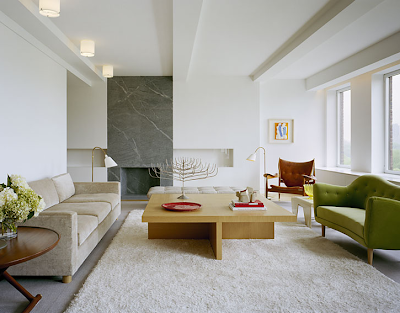 I've always been a big fan of Isamu Noguchi's Akari lighting. These classic lanterns are modern in form yet handmade with natural materials and bring a softness and warm glow to any space. 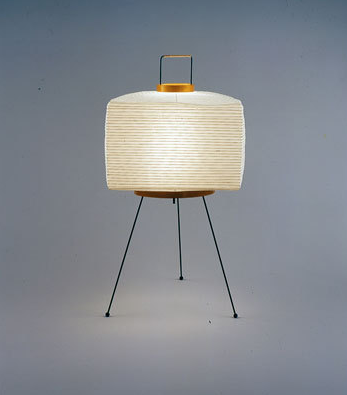 Noguchi himself said " the light of AKARI is like the light of the sun filtered thru the paper of shoji. The hardness of electricity is thus transformed thru the magic of paper back to the light of our origin- the sun -so that it's warmth may continue to fill our rooms at night." If possible, I'd put one in every room...click here to see a fascinating demonstration on how these are made.